I used to have an active small online business. 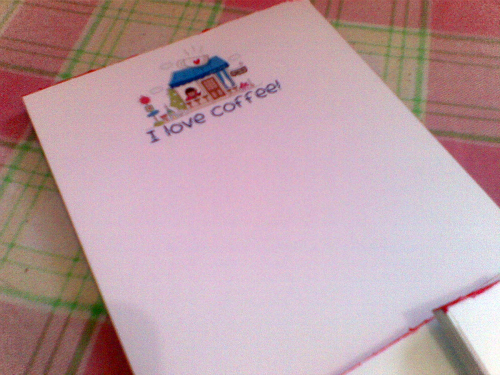 Back in 2010, I was amazed over a friend of a Facebook contact who sells personalized notepads. I considered ordering a pad but the selling price drew me away. 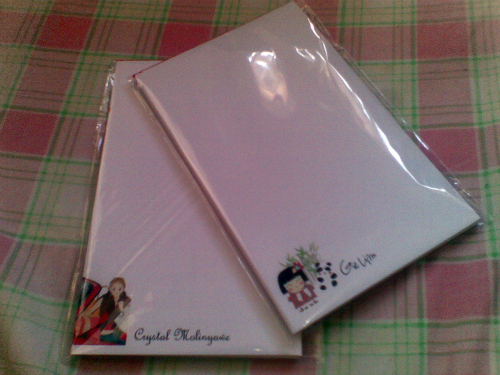 Each notepad costs Php 200 (around $ 4.50) and the shipping fees are not yet included. The shipping fee of the notepad is Php 100 (around $2). 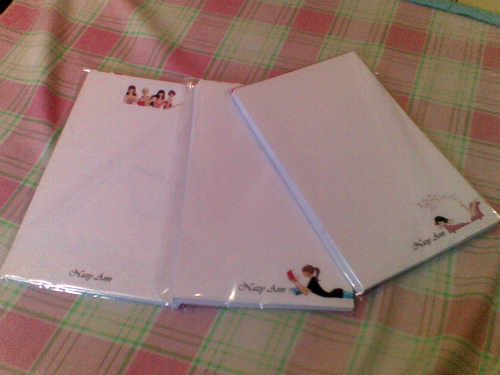 All in all, I will be spending Php 300 for a 50 sheet notepad, which for me is too overpriced. I badly wanted a personalized notepad and I know a lot of my friends would want to own one too. This idea prompted me to venture to the notepad business. I studied and canvassed the prices of the equipments and materials needed. Using some of my income from teaching, I bought a paper cutter, a ream of paper, resealable plastic, padding glue and a supply of ink. I had an idle printer at home and when all the materials I needed are present, Notepads Unlimited was born. My first orders came from my reliable friends and their referrals. I was receiving an order every week. My business was just starting but I was already earning money. I managed to earn some shopping money from a business that is less than 2 months old. I was so happy and optimistic with my business. I even considered venturing to the production of personalized notebooks. I was able to recover my investment and I even have spare money to purchase the binding machine for the notebooks. After summer, I went back to teaching and the task was overwhelming. An unforeseen need also made me utilized my kept earnings from the notepads. In the end, my online business gradually died. My plan was just to consider seasonal production. I planned to produce notepads during the Christmas season as gifts to friends. In this way, I could also save time, money and effort of thinking the best gift for my friends. Anyway, all of them loved my notepads. But the bulk of work and some concerns over my life and career prevented me to pursue my plans. I neglected my online business. I was in the brink of closing my shop but I was surprised over the frequency of orders lately. I've been receiving inquires and a lot of orders over the past months. As much as I wanted to revive my business, my current schedule does not permit me to do so. I don't want to totally shut down Notepads Unlimited even though that's what my current situation forces me to do. For now, I left my site existing and if there are inquiries, I leave them with the same response..... we are temporarily closed for operations. Until when? Everything remains unanswered. That's so sad Diane. I hope everything gets better so you can revive your little shop. Those notepads are the cutest! Have a nice day my friend. I understand your plight, but don't close down your online site just yet! Your situation might change in a few months - you never know! Your notepads are really cute! Don't give up what you love to do!!! These are so cute and a great idea. They may be on the back burner now, but keep the idea open. When the timing is better, you'll be able to pick up right where you left off. The notepads are so cute, Diane, but sometimes we just try to do too many things. I, personally, wouldn't shut down completely, but I think you are smart to accept now is not the right time. I hope things change for you, so you can again do something that you enjoyed.